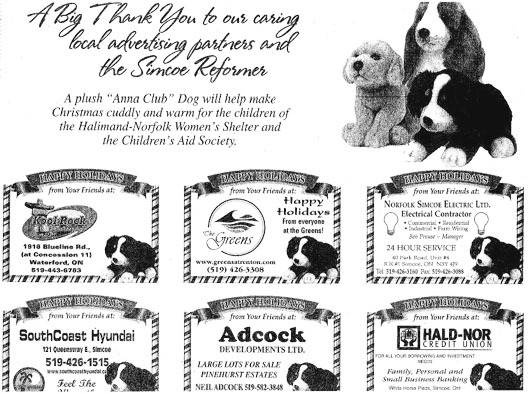 Thanks to Simcoe Reformer and their local advertising partners for their generous donation of 25 plush “Anna Club” teddy bears. Each bear has a tag noting specific donors. 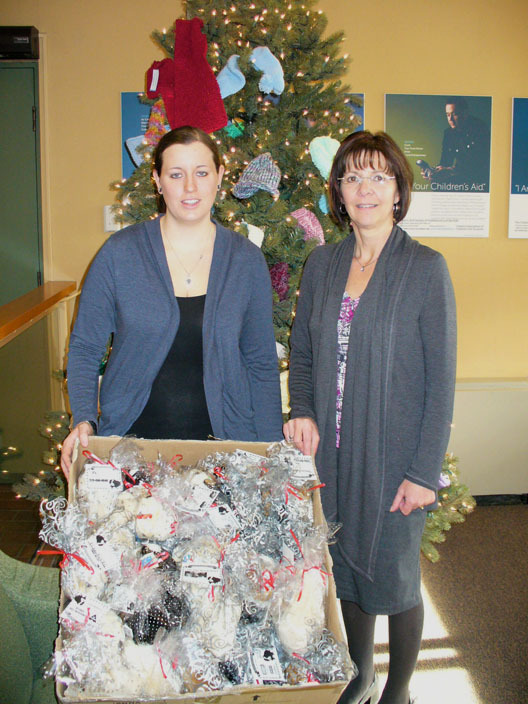 Pictured above is Jessica Hardy, Non-Profit/Inside Sales of the Simcoe Reformer with Shari Gardener of the Children’s Aid Society of Haldimand and Norfolk. Pictured below is the article printed in a recent copy of the Simcoe Times Reformer.